Grassroots pro-education, pro-choice organizations in Italy that helped organize the marches, such as COMILVA (Coordination of the Italian Movement for the Freedom of Vaccinations) founded in 1993, have adopted a pro-vaccine safety, pro-vaccine choice position similar to one in the U.S. created by parent founders of the National Vaccine Information Center (NVIC) in 1982. 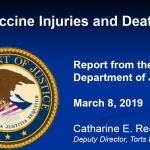 They are questioning the safety of vaccine ingredients and one-size-fits-all vaccine policies that fail to acknowledge biological differences among children and place some children at greater risk for vaccine reactions, injury and death. 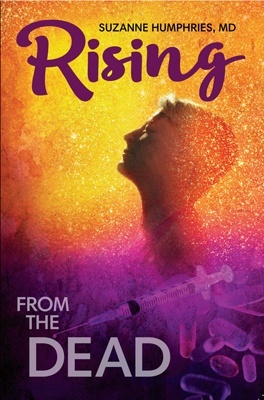 GSK manufactures and globally markets eight of the 12 vaccines now mandated by the Italian government, including four of the newly required vaccines (HIB, meningococcal B and C, pertussis). In a 2016 interview in Politico, Italy’s director general of health prevention at the Health Ministry talked about how public health officials, doctors and school officials will implement the government’s National Vaccination Plan to drive up vaccination rates among children. 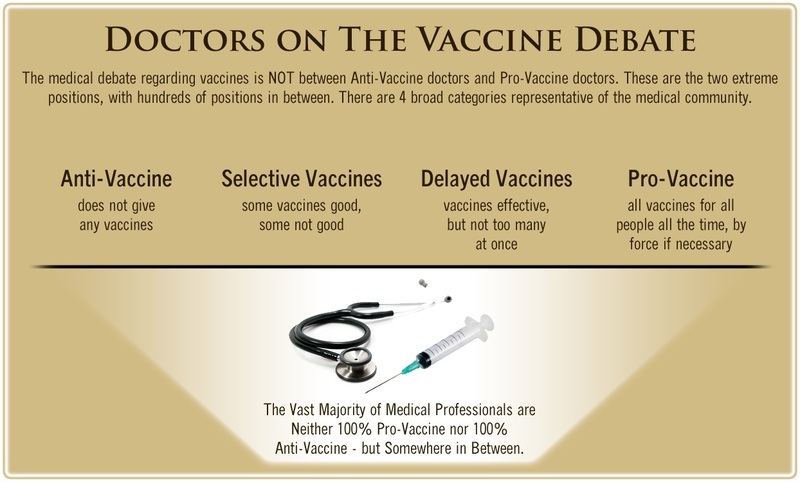 To ensure that all doctors get in line with the National Vaccination Plan, doctors in Italy who dissent from restrictive vaccine policies and advocate for voluntary vaccination are being targeted for de-licensing so that they cannot continue to work as doctors. 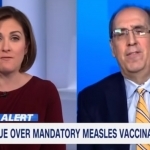 Major news outlets in the U.S. and Europe are taking an active role in assisting governments pursuing the global forced vaccination agenda, including getting involved in the political business of other countries. In March 2017 in the Scientific American, vaccine developer Peter Hotez sang the praises of philanthrocapitalist Bill Gates and the global vaccination agenda while pointing to “vaccine hesitancy” worldwide that he blamed on the U.S. “anti-vaccine” movement. On June 18, 2017 (Father’s Day), one of America’s most vocal forced vaccination proponents–Merck vaccine developer Paul Offit, MD–inserted himself into the discussion about what the E.U. should do with parents defending the right to make voluntary choices about vaccination for their children. In an OpEd in the Daily Beast entitled “When Parents Force the Government’s Hand on Vaccines, “ Dr. Offit ignored the massive public protests against use of coercion and punishment in Italy. According to Deutsche Welle, Germany does not mandate vaccines for children. 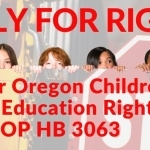 Rather, since 2015, parents must present proof to childcare centers that they have been counseled by a doctor about vaccination, but the center is not allowed to refuse a child a place if they have not done so, as parents have a legal right to one. Vaccine hesitancy is not just growing among parents in Europe, it is also growing among health care providers who give vaccines. France mandates diphtheria, tetanus and polio vaccines. 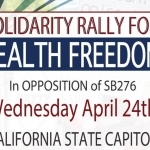 When medical doctors working for government, industry and medical trade cannot persuade parents to take risks with vaccines voluntarily, they work with politicians to pass laws requiring parents to vaccinate their children. 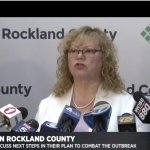 It started with requiring one vaccine, smallpox, and today U.S. parents are required by state governments to give their children multiple doses of the 16 vaccines the federal government recommends or be punished with denial of childcare and education. Parents leading the 35-year old vaccine safety and informed consent movement in America stand in solidarity with the parents in Italy, France, Germany, U.K. and many other countries in Europe, who are leading a defense for the human right to informed consent to medical risk taking, including vaccine risk taking. Hold your elected officials accountable for their actions at the polls. Have faith, stay strong and do not back down. You inspire us to do the same. 1 Earl E. The Victorian Anti-Vaccination Movement. The Atlantic July 15, 2017. 2 Repubblica. ‘Italia del “free vax” in piazza: da Cagliari a Torino si manifesta per chiedere liberta di scelta. June 3, 2017. PHOTOS and VIDEO. 3 The Local (Italy). Italy makes vaccines compulsory for school starters. May 12, 2017. 4 Il Globo. Italy introduces compulsory vaccinations for children. Il Globo June 8, 2017. 5 Giubilini A. Opinion: ‘Italy’s mandatory vaccine law should be adopted worldwide.’ The Local (Italy) June 7, 2017. 6 Senato della Repubblica. Constitution of the Italian Republic. Article 32 (page 11). Dec. 27, 1947. 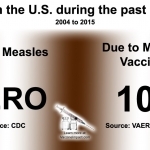 7 Roberts H. Amid vaccine debate, Italy faces return of eradicable diseases. Financial Times Apr. 18, 2017. 8 The Local (Italy). Italy makes vaccines compulsory for school starters. May 12, 2017. 9 Lunghini R. Italy requires vaccination for school enrolment. West-info.eu June 8, 2017. 11 The Local (Italy). Italy’s northern regions are challenging a mandatory vaccination law. June 14, 2017. 12 GlaxoSmithKline. GSK announces major 3-part transaction with Novartis to drive sustainable sales growth, improve long term earnings and deliver increasing returns to shareholders. GSK Press Release Apr. 22, 2014. 13 Barry F. Novartis Meningitis vaccine scoops innovation prize. BioPharma Oct. 3, 2014. 14 Paravicini G. Italy fights vaccines fear. Politico (EU) Apr. 21, 2016. 16 Paravicini G. Italy fights vaccines fear. Politico (EU) Apr. 21, 2016. 18 AsSIS (Association of Studies and Health Information). Expression of solidarity and esteem to Dr. Roberto Gava. Mar. 22, 2017. (Use Google Translate). 19 Gates Foundation. Bill and Melinda Gates Pledge $10 Billion in Call for Decade of Vaccines. Press Release January 2010. 20 CDC. Who We Are: CDC and Our Global Immunization Partners. Dec. 14, 2011. 21 NIH. Bill Gates celebrates research collaborations with NIH. Global Health Matters Newsletter 2014; 13(1). 22 World Health Organization. Global Vaccine Action Plan: Immunization Coverage. WHO March 2017. 23 LaVigne P. Global Vaccine Market Surging to More than 70 Billion by 2024. 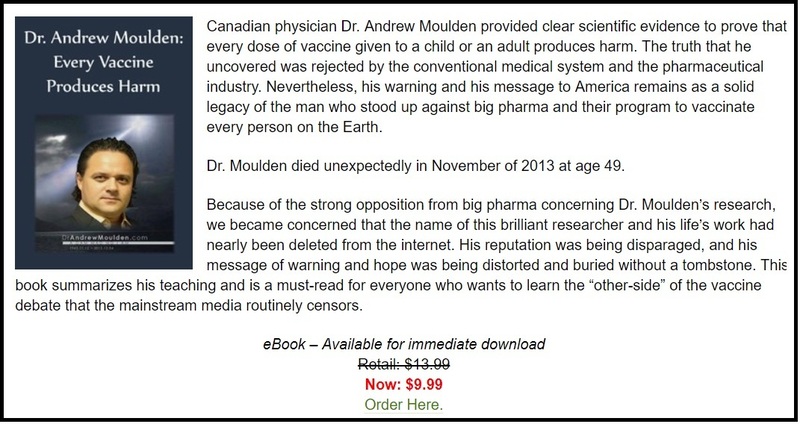 The Vaccine Reaction Nov. 10, 2016. 24 Boseley S. Bill Gates dismisses criticism of high prices for vaccines. The Guardian Jan. 27, 2015. 25 Sarmadi D. Merkel’s ‘vaccine summit’ raises $7.5 billion. Euractiv.de Jan. 28, 2015. 26 Hotez P. Will an American-led anti-vaccine movement subvert global health? Scientific American Mar. 3, 2017. 27 Editorial Board. 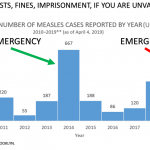 Populism, Politics and Measles. The New York Times May 2, 2017. 28 Roberts H. Amid vaccine debate, Italy faces return of eradicable diseases. Financial Times Apr. 18, 2017. 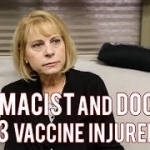 29 Offit P. When Parents Force the Government’s Hand on Vaccines. The Daily Beast June 18, 2017. 30 Associated Press. German Kindergartens to Name Parents Who Skip Vaccine Advice. The New York Times May 26, 2017. 31 Deutsche Welle. Germany moves to improve child vaccination rate. May 25, 2017. 32 European Centre for Disease Prevention and Control. Vaccine hesitancy among healthcare workers and their patients in Europe: A qualitative study. October 2015. 33 Haverkate M., D’Ancona F, Giambi C et al. Mandatory and Recommended Vaccination in the EU, Iceland and Norway: Results of the VENICE 2010 Survey on the Ways of Implementing National Vaccination Programmes. Euro Surveill 2012; 17(22). 34 Vanderslott S. Despite skepticism, Europe has high vaccination rates – but it shouldn’t be complacent. The Conversation Apr. 24, 2017. 35 Candau M. Distrust of vaccinations on rise across EU. Eurativ.fr Mar. 27, 2015. 36 Huet N. Vaccination? Non merci. Politico Apr. 20, 2017. 38 Watson A. Mandatory vaccination would violate our human rights. The Ecologist May 5, 2015. 39 Fisher BL. Forced Vaccination: The Tragic Legacy of Jacobson v. Massachusetts. NVIC Newsletter Nov. 2, 2016.